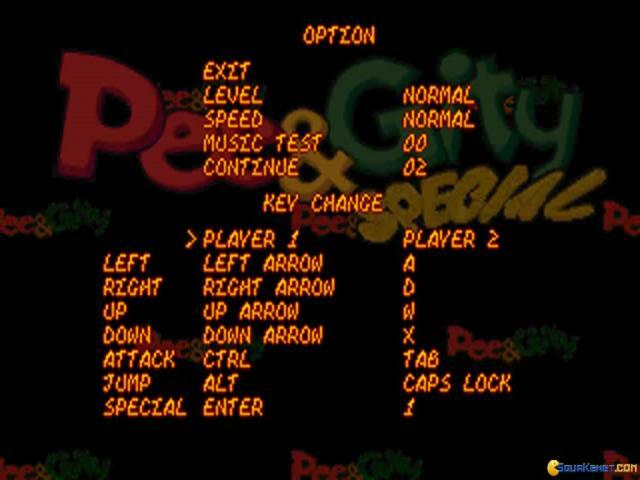 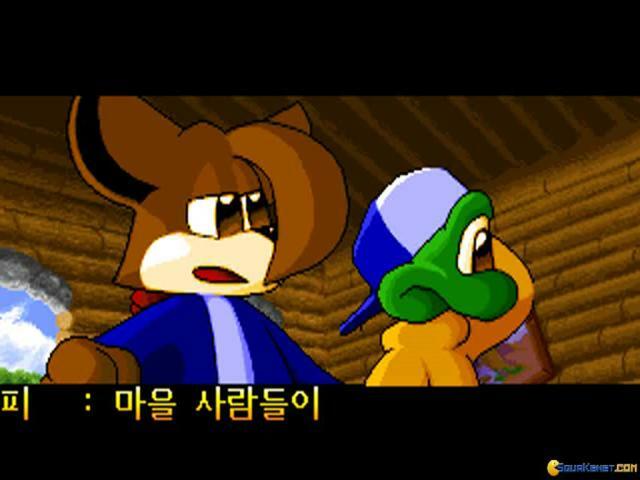 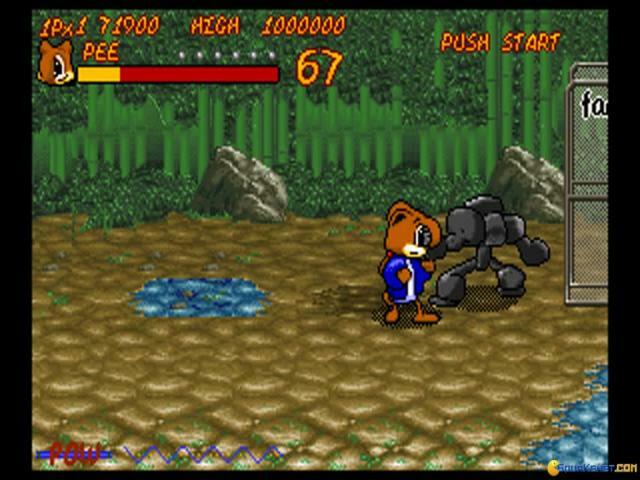 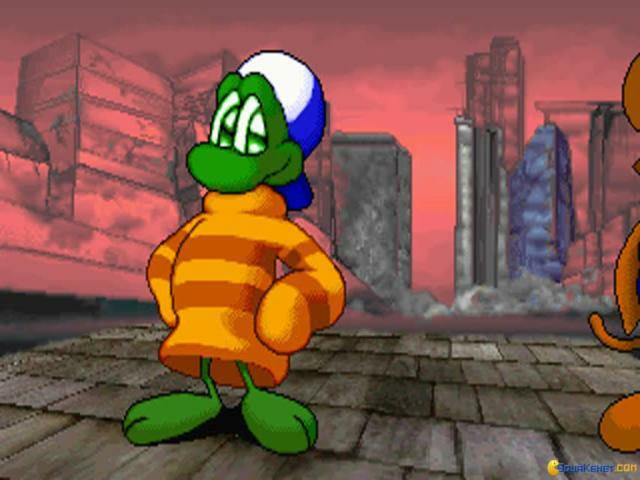 Pee And Gity Special is the second brawler adventure of Pee and Gity, after Pee & Gity introduced the characters. 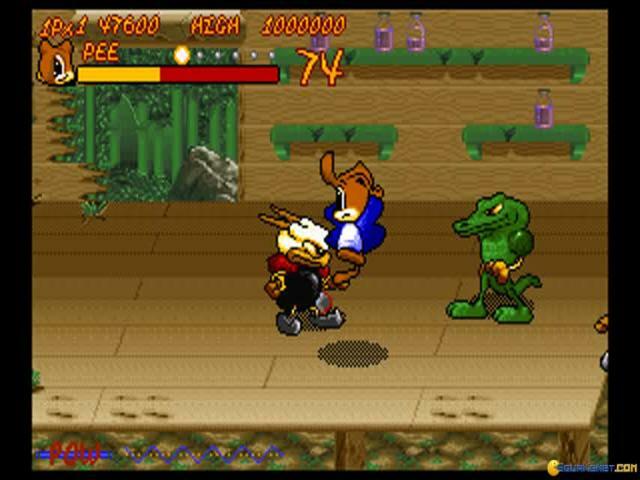 The cool thing about the characters is that both of them have really interesting moves; they are true cartoon characters but without question they know how to put a real fight up. 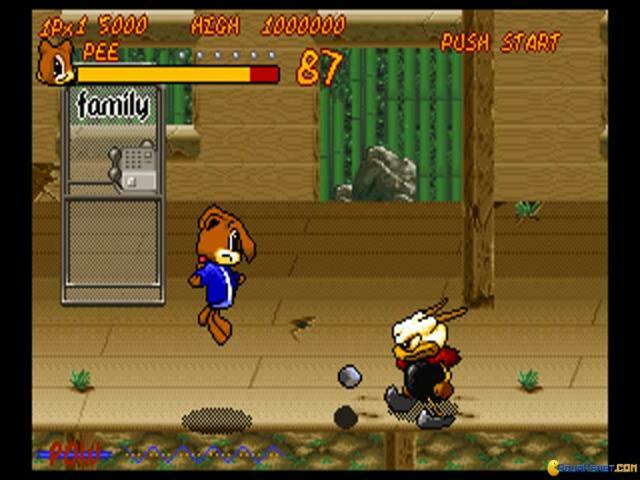 There are few games as cartoony yet as playable as these two, so, all things considered, if you want a fighter game, with two controllable characters at all times, this combo will offer you a great misfit set to play with. 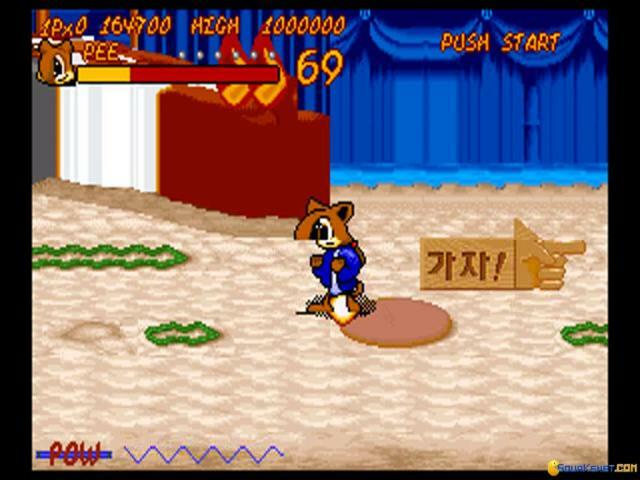 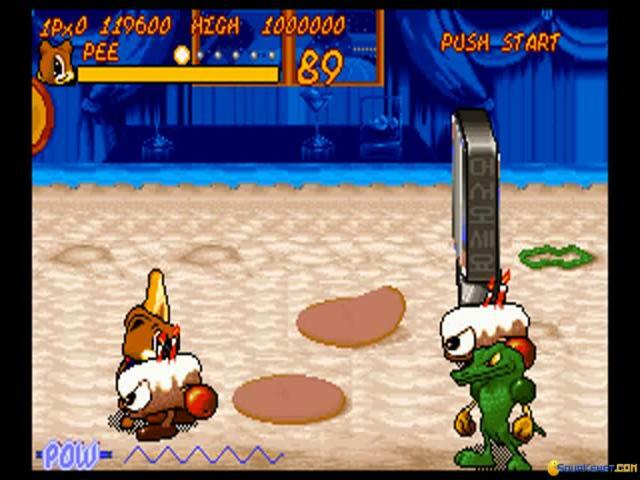 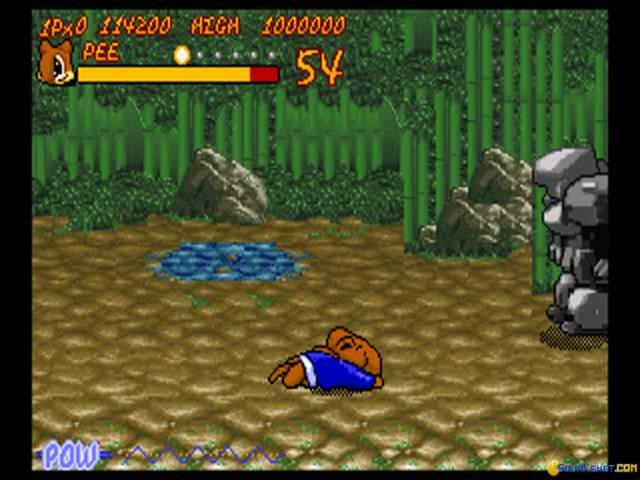 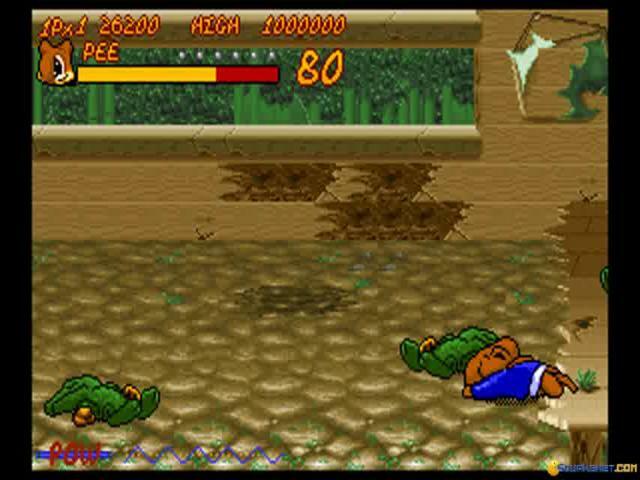 The enemies don't come at you level by level, but rather, like in a brawler, you beat a number of enemies and then do a little bit of sidescrolling towards the next match. 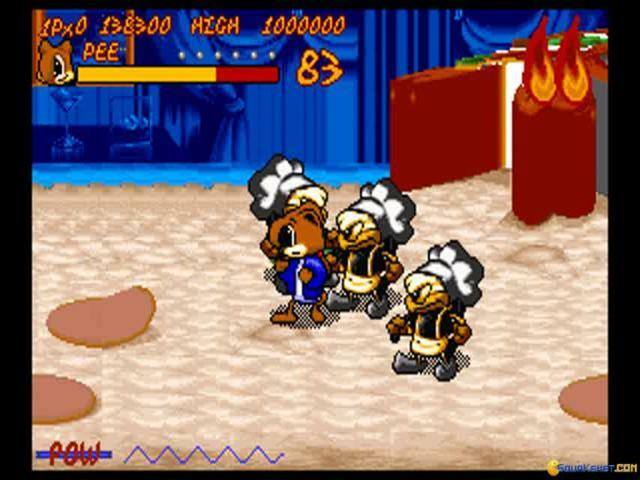 The backgrounds as the enemies themselves are pretty much based on the same type of cartoon looks. 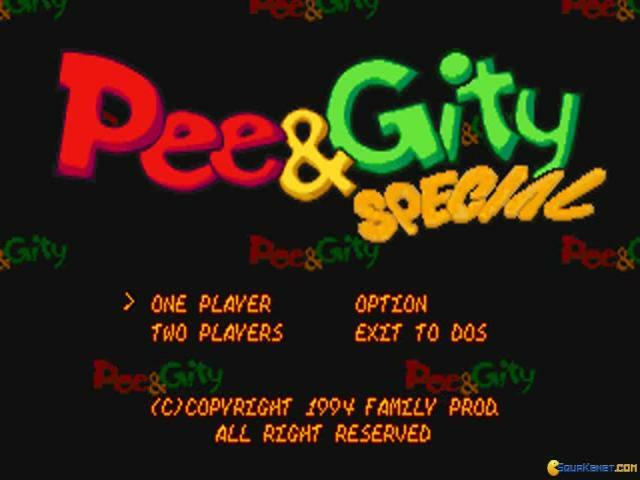 So, overall, Pee And Gity Special is a very interesting mix, truly engaging and also, truly cartoon based. 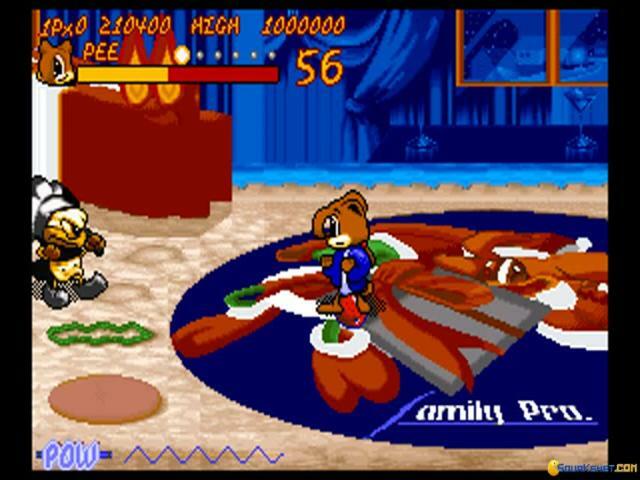 Don't worry though, in spite of the clear cartoon looks, the game actually has lots of moves per character, cool combos, and is more than just a mindless beat em up. 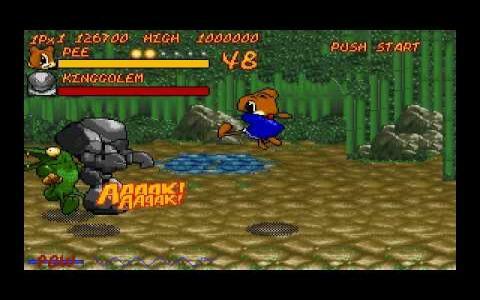 A good alternative can be River City Ransom as it's just as cartoony, but simpler in build, a proper beat em up.